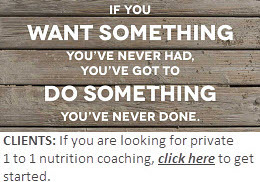 How can your local nutritionist help you? Are you stressed, tired or obese? Do you suffer from chronic illness or digestive disorders? Let me help you to achieve a state of wellbeing with nutrition and lifestyle medicine. 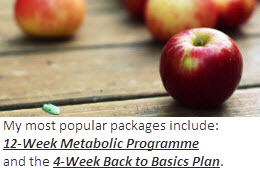 I recognize that we are all unique and what works for one may not work for others, which is why I use the metabolic balance programme and functional medicine model to investigate the root cause of your health and weight concerns. Much of our food today is often derived from refined carbohydrates and is lacking in essential nutrients, which can have a negative impact on our health causing obesity and disease. Functional nutrition is about eating wholesome food, full of complex and biologically active molecules that are associated with many health benefits. I do not advocate diets or short-term quick fixes. Instead, I aim to empower you to make intelligent food & lifestyle choices that eventually kick-start a lifetime of healthy eating, weight management and wellbeing. In addition, I offer a ‘kitchen detox’ through restocking cupboards with the ‘good stuff’. I also offer practical tips on how to plan, shop, cook and eat in a relaxed and healthy way. I inspire clients to get back to basics through 1:1 cooking classes, allowing you to prepare your kitchen for success. 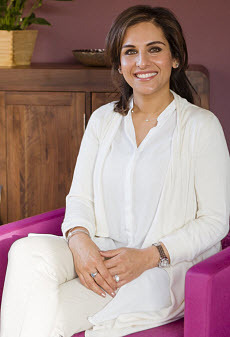 Shakela Shan of Nutrishan, is a qualified Nutritional Therapist and Metabolic Balance coach in North Leeds, West Yorkshire UK. She has helped clients successfully reach their weight management and health goals, to achieve a state of wellbeing with functional nutrition. Working in Leeds, Harrogate, Ilkley, Wetherby, Skipton, Bradford, Pudsey, Huddersfield and the surrounding areas. To find out more about Shakela Shan and her services contact Shakela 07581 246242 or shakela@nutrishan.co.uk.